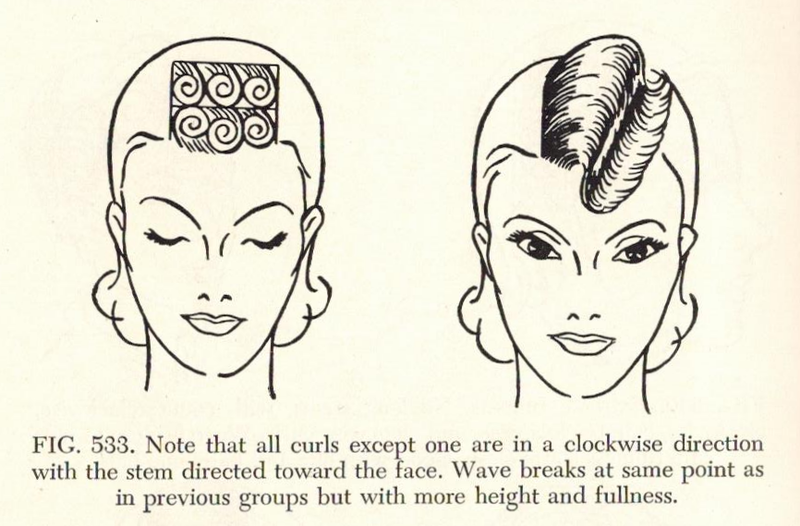 In my first post on 1950s pin curls, pinning the sides was covered. Now it's time to look at pinning the front hair. 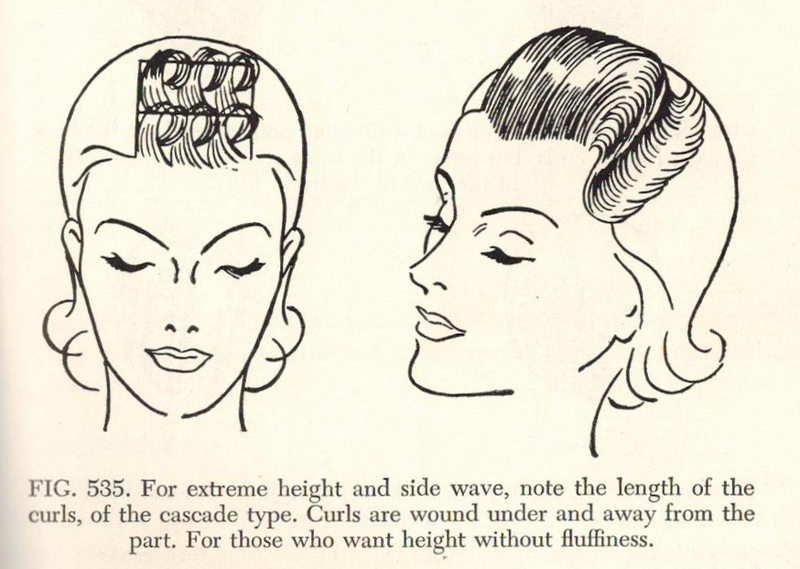 According to the experts, the height of the hair in front will flatter different-shaped faces. 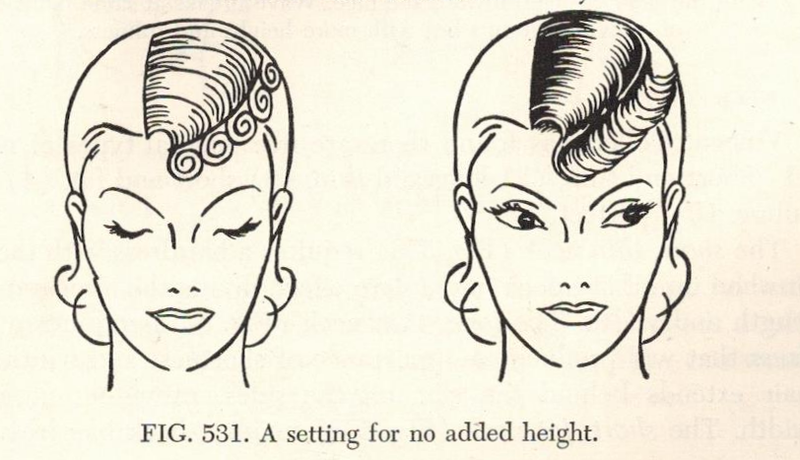 The illustrations start with an image of pin curls set for no added height (figure 531). 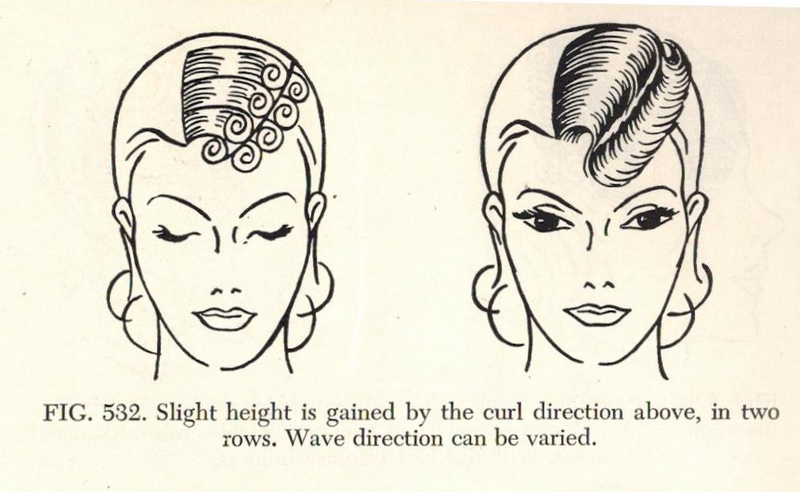 Each successive image illustrates more height than the preceding image, with figure 535 illustrating extreme height and side wave. So how high do you want to go? 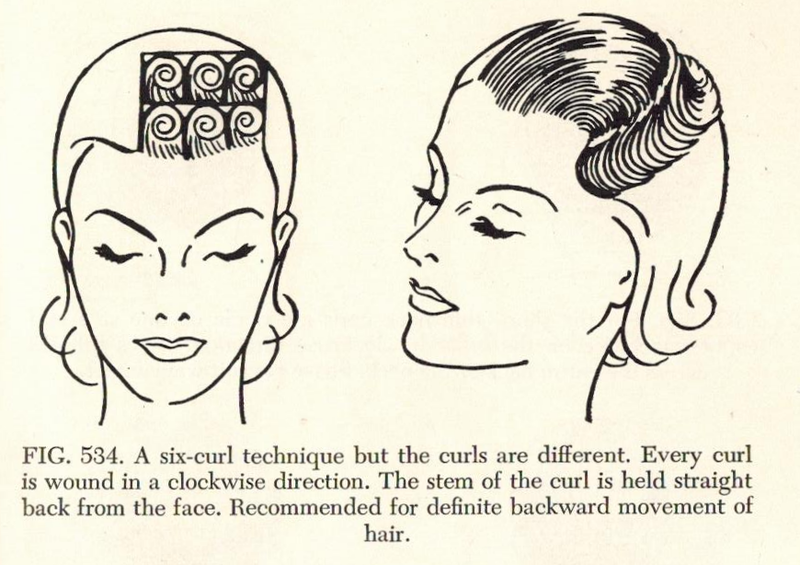 ;) Note the direction of the pin curls is not always the same from image to image.